It did not take long for me to learn that if Johnny Depp is in a movie, then that movie is pretty much bound to be good. Although the story is a bit far-fetched, I will give Transcendence the benefit of the doubt. 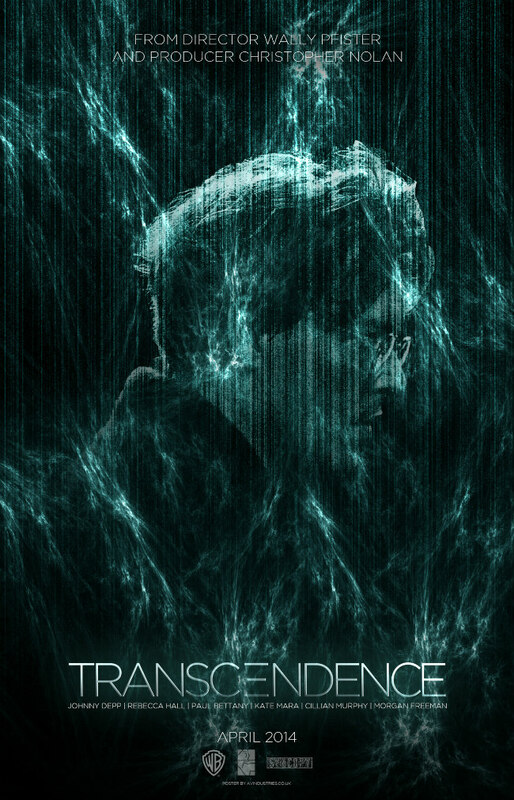 The film is about a dying scientist (Johnny Depp) who manages to download his body and mind into a super computer. The transformation causes him to become extremely powerful and dangerous. The movie was directed by Wally Pfister and the rest of the noteworthy cast includes Kate Mara, Rebecca Hall, Morgan Freeman, Cillian Murphy, Paul Bettany, Cole Hauser, Clifton Collins Jr., Falk Hentschel, and Wallace Langham. Johnny Depp is my favorite actor. I’ll definitely have to see this one! The film is set to release on 04/18/14. In Hitchcock Anthony Hopkins steps into the shoes of the Master of Suspense and they fit him quite well. In fact, he seemed so much like Alfred Hitchcock that at times I forgot it was actually Anthony Hopkins. They even have the same monogrammed towels, although, that’s merely a coincidence. Or is it? Hitchcock is based off of Stephen Rebello’s non-fiction book Alfred Hitchcock and the Making of Psycho. The film gives you a behind-the-scenes look at the relationship that Alfred Hitchcock had with his wife and the struggle he went through to create his most popular beloved masterpiece, Psycho (1960). I am a huge Hitchcock fan, and I was not familiar with a lot of the events that occurred in this story. 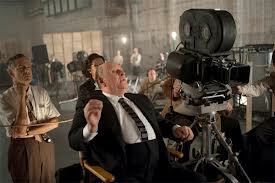 The movie was a sort of tribute to the legendary genius film director. It was enlightening and very entertaining. Just as Hitchcock was able to get tons of popular actors to act in his films, Hitchcock the movie is overrun with a number of great actors: Anthony Hopkins, Helen Mirren, Scarlett Johansson, Danny Huston, Jessica Biel, Toni Collette, Michael Stuhlbarg, Michael Wincott, James D’Arcy, Richard Portnow, Kurtwood Smith, Ralph Macchio, Wallace Langham, Currie Graham, Spencer Garrett, and Frank Collison. Sacha Gervasi directs the movie. 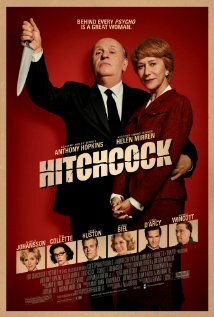 Helen Mirren is superb as Hitchcock’s wife Alma. The chemistry between Mirren and Hopkins on screen is perfect. The filming of Psycho was very tastefully recreated in Hitchcock. Scarlett Johansson does an excellent job playing Janet Leigh. Jessica Biel is a great Vera Miles. I thought James D’Arcy was a pretty believable Anthony Perkins. Anthony Hopkins did for Hitchcock what Daniel Day-Lewis did for Lincoln (2012). They didn’t just act the part. They became the part. 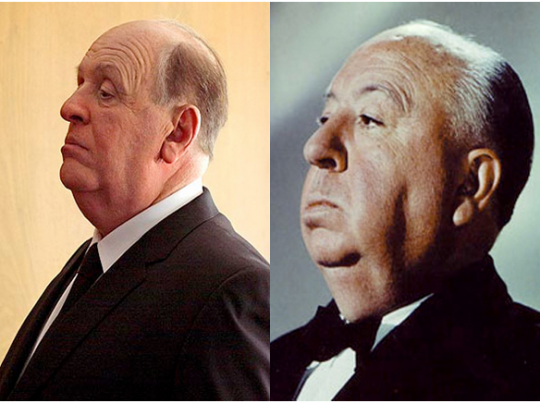 If you are an Alfred Hitchcock fan like I am, than you will most certainly enjoy Hitchcock. Note: You might be wondering why the name Ralph Macchio sounds so familiar. He was the original Karate Kid (Daniel Larusso) in The Karate Kid (1984). Can you believe he is already 51 years old?